CLEVELAND, OH (WOIO) - The goal is to give women some solace and let them know the community cares. 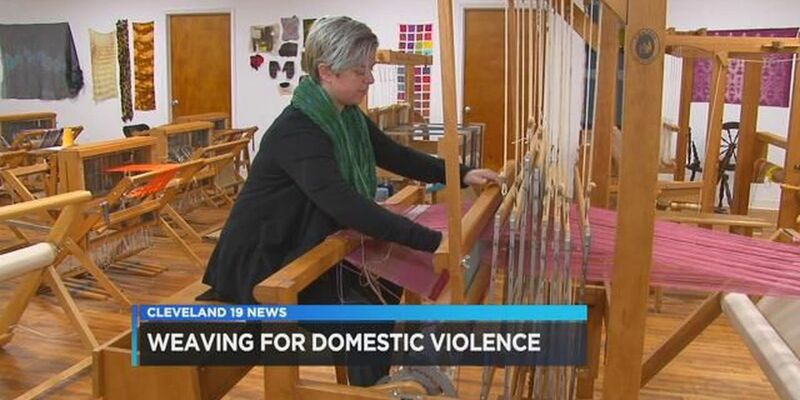 That's why Praxis Fiber Workshop is offering victims of domestic violence a free day. To treat trauma and anxiety, alternative medicine has been used like weaving. That's what Executive Director Jessica Pinksy hopes happens. "It's a very meditative process, it's important for everyone especially people that have gone through trauma," said Executive Director of Praxis Fiber Worskshop Jessica Pinksy. Thanks to a Kresge Foundation Grant awarded to Northeast Shores Development Organization, this fall, Praxis is offering the free class and child care will be provided. "We want people to come and take advantage of the free class and we want to provide childcare," said Pinsky. "We want to have a safe place for them to make something for themselves." Praxis is a non-profit art studio, located at 15301 Waterloo Road, Cleveland OH 44110. The domestic violence free weaving workshop is October 17th from 10am-4pm.